Today marks the release of my collection of 100-word stories, Fissures, so I thought I’d share the book’s preface to introduce it. Who among us has not, in his ambitious moments, dreamed of the miracle of a poetic prose, musical without meter or rhyme, supple enough and rugged enough to adapt itself to the lyrical impulses of the soul, the undulations of the psyche, the jolts of consciousness? I don’t know if I accomplished such a thing, but Baudelaire’s quote neatly sums up my attraction to the 100-word form. I like to say that writing 100-word stories allowed me to nurture my “inner failed poet.” The preface from Fissures, below, takes this idea a bit further. And, if you’d like to read some 100-word pieces, several stories are available online. I’ve always thought life is more about what is unsaid than what is said. We live in odd gaps of silence, irremediable interstices that sometimes last forever. A lingering glance averted. The lover who slams the door and runs away. Unsent letters. We all carry so many strange little moments within us. Memory shuffles through random snapshots. Sometimes they seem insignificant, yet they stay with us for some reason, weaving the fabrics of our beings. In the end, we don’t seize the day so much as it seizes us. The idea of capturing such small but telling moments of life is what drew me to 100-word stories (or “drabbles” as they’re sometimes referred to). I’d previously written novels and longer short stories, forms that demanded an accumulation of words—to sew connections, to explain, to build an entire world with text. I wondered, what if I did the opposite? What if instead of relying on the words of a story, I relied on the spectral spaces around those words? What if I privileged excision over any notion of comprehensiveness, and formed narratives around caesuras and crevices? We live as foragers in many ways, after all, sniffing at hints, interpreting the tones of a person’s voice, scrutinizing expressions, and then trying to put it all together into a collage of what we like to call truth. Whether it’s the gulf between a loved one, the natural world, or God, we exist in lacunae. I wanted to write with an aesthetic that captured these “fissures,” as I began to think about them. Perhaps I could have accomplished such an aesthetic of writing in a longer form, but the hard borders of a 100-word story put a necessary pressure on each word, each sentence. In my initial forays into 100-word stories, my stories veered toward 150 words or more. I didn’t see ways to cut or compress. I didn’t see ways to make the nuances and gestures of language invite the reader in to create the story. But writing within the fixed lens of 100 words required me to discipline myself stringently. I had to question each word, to reckon with Flaubert’s mot juste in a way that even most flash fiction doesn’t. As result, I discovered those mysterious, telling gaps that words tend to cover up. We all have a literal blind spot in our eyes, where the optic nerve connects to the retina and there are no light-detecting cells. None of us will ever know the whole story, in other words. We can only collect a bag full of shards and try to piece them together. This collection is my bag full of shards. A junkie’s world is inherently riven. The paradise of a high, akin to being in the Garden of Eden, cracks into the schism of banishment, a reeling back to the real world, where one’s fancy suddenly finds little or no reciprocation, little or no tenderness. I’ve been thinking about this because I’ve been mulling over one of my favorite poems by Jim Carroll, a noted junkie poet. Junkie writers are perhaps best suited to capture the terrifying disjointedness of the world simply because of their own extreme rises and falls, and many, like Carroll, write with a mystical yearning that imbues their vision with sacredness. Carroll’s poem, an untitled poem that is printed below, can easily be read as nothing more than a tender day’s drift through a lover’s thoughts as he travels through New York City separated from his love. But I think it’s much more than that. The poem hinges on subtle paradox, resides in the complications of absence—and most importantly, attempts grace. Grace is the key word here. Carroll quests to solve the irreconcilable, the state that defines us in our severance from God, love, or junk (pick your savior), by wending his way—if only momentarily—toward reconciliation. Could reconciliation, no matter its form, be the definition of grace? Except simply is misleading, a guise. The lovers survive “like a wet street in August,” imperiled as they move apart because love so easily evaporates with time and distance. The bus he travels on is “terrified by easter”—a lower case Easter, marking a different kind of holiness, a secular sort of rebirth that might be the rebirth of their own love. Why is rebirth feared, though? As any lover who has lost love knows, the rebirth of love is terrifying—no matter how one might yearn for it—if only because rebirth won’t bring back the Garden of Eden that existed in that initial, wondrous love. In rebirth, a new creature is born, one that holds the strange coexistence of two worlds in troubling paradoxes. 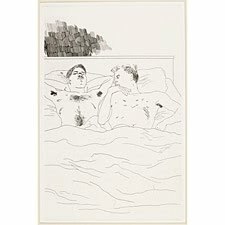 Just as a junkie’s most blissful high always ends, in the dark aftermath of departed love a lover seems to have only two choices: find a way to accept the rather flat state of the world, or get high—find another love. Neither option seems particularly good, though, if your first love possesses what seems like the holy. In this poem, Carroll tries to preserve the holy because it’s the only way he can maintain a state of grace—to nurture the whole of love even when half of it is gone. “All the while my mind’s leaning on you,” he says as he rhapsodizes about leaning on her below “some statue in Central Park / in the lion house at the Bronx Zoo on a bed in Forest Hills.” The day is “confetti like,” celebratory, but the scraps of paper easily blown about by the wind point to his lover’s absence, or rather, a presence that is dissipating, scattered. “Movie schedules” sustain his isolation; he exists more and more in a world of dreams. When he finally sees her, he sees her “in the wind of Astor Place reading.” She’s a creature of breezes now, gone. The poem is his effort to keep the goodness of her close, though, to find a way to reconcile this horrible absence. Junkies live in the moment, and the only planning comes from looking for the next score. In similar fashion, Carroll embraces the fondness of memory, the warmth of a love, as a similar drug. To accomplish this, though, he must think of his love thinking of him, no matter how unlikely that might be, just as the world doesn’t reciprocate a junkie’s high. She’s probably more preoccupied by the “mystical dress” she’s buying, her own life in the city, the separate bus she’s on. Carroll, raised a Catholic and never able to truly shed his religion, writes with a sense of glory toward something not present. Atheists often find different ways to pray to a lost God. Carroll has been banished from a Garden of Eden, but he travels with the beauty of the memory of it. A different kind of grace, one that God can’t grant, one that drugs can’t grant. Yet in this beautiful leaning toward his absent love, Carroll defines grace simply because he keeps giving to one who’s gone. Grace, in the end, can’t be granted, not even by a God. We have to create our own grace. of riding down Fifth on a bus terrified by easter. and whistle over to Carter’s for the poster he promised me. A few years ago, while plodding through a revision of my novel (revisions require the writer’s equivalent of heavy-duty hiking boots), I got bored by my writing. It was too literal, too realistic, too earnest, and too flat. Most writers are all too familiar with this feeling after a red-eyed reading of a draft. I needed a way to literally jar my narrative sensibility. I needed jazz, punk rock, Jackson Pollock, Merce Cunningham, something. I started reading poetry avidly and discovered that by focusing on the exquisite “slant” poetry offers, the “truth” I was trying to capture became more piquant, surprising, nuanced, playful, and meaningful to me. So, in honor of National Poetry Month and Poem In Your Pocket Day, here are my 10 reasons prose writers should read—and hopefully write—poetry. Mood: Many poems are almost incantations or prayers in the way they use techniques such as repetition and alliteration to establish atmosphere. Of the fiction writers who best use such techniques, I think most immediately of William Faulkner (who started out as a poet, and no, there’s no relation). Mystery: In general, poetry is more focused on nuance, on the elusive gaps of life rather than on the objective connections that much prose is dedicated to. It’s easy for a prose writer to write toward linkages instead of writing toward the interludes where a different kind of tension resides. Personification: Poetry gives life to inanimate objects in a way that fiction all too often doesn’t. Animating objects is a good exercise for any writer, but I think the applications for writers of science fiction, fantasy, and magical realism are endless. Detail: Poets delight in specificity—in fact, you might say some poems’ narrative tension is formed around the drama of minutiae, forcing the reader to parse phrases as if reading with a microscope. As a writer who lacks Nabokov’s or Updike’s obsession with detail, poetry helps me pause and notice. Sensory engagement: Poems are so often awash in sensory details, and details captured by all five senses, not just sight, which so many writers (including me!) can privilege. I cherish a good dose of synesthesia. Brevity: Poetry is a craft of compression. Poems don’t have many pages to make a point, so their narratives tend to move through fragments rather than exposition. I love reading Kay Ryan’s miniatures or Basho’s haikus. Brevity inspires suspense. Intensity: I think poems usually hit higher pitches than most prose, so fiction writers can benefit by studying how such intensity is created. I think of Gwendolyn Brooks, Sylvia Plath. What words, line breaks, rhythms, etc., produced a poem’s steeped moment? How can such intensity be captured in prose? Exploration: I’ve never heard of a poet who uses an outline. I imagine poets to be more like jazz musicians, who wend their way through riffs to create, taking risks in their word choice and line breaks, and conceiving in the moment (like many Wrimos!). Kenneth Koch and Frank O’Hara write as if following their pen on a playful romp. The art of play: Poetry, especially free verse, can be more playful than prose, which finds itself hemmed in by paragraphs and sentence structure. If you want outright surreal wackiness—to the point that every word in a poem surprises—check out Dean Young’s Elegy on a Toy Piano (the title tells it all). Attention to language: It’s a cliché to say that poets paint with words, but they do. Poets strive to write against cliché—scrutinizing and challenging each word—and perhaps even creating new words, a la E. E. Cummings. Sometimes you don’t know where a poem is going to come from. A poem can be such a mystical matter, after all. The poem below, a “found poem” that uses the text of several different news articles, holds its own mystical matter (if only because it is about the other worldly Tim Tebow), but it was actually written on a lark, an assignment/challenge from the esteemed Times editor Katherine Schulten based on a poetry prompt at the New York Learning Network blog. I have to say, however, there is something mystical about putting together a found poem. You’re using others’ words, and it can feel like an act of criminal plagiarism, yet other forces guide you. Perhaps that’s the lesson I take away from this: Poetry is an engagement in a life that’s sometimes not yours, an immersion in others’ language and thoughts, and no matter the poem or the subject, it can open up mysteries to ponder. What does it mean to be Tebowed? To meet defeat by God’s grace on a clunk of an arm? Did a receiver drop a pass? James Dobson just choked on a nacho. Did Tim throw an interception? Daniel Dennett just chest-bumped Richard Dawkins. only if God is moving the swords. “Whatever gets more people over to the cross,” Tim says. I wish I could vote for poet laureate. I’d vote for Dean Young. It’s clear cut for me. He’s simply the only living poet who truly gives voice to the tragic and ridiculous and tender and doomed existential meaning of life through his whimsical, searching verse. When I read one of his poems, I never know where it’s going from word to word. I know I’m going to be surprised, but I don’t know how I’m going to be surprised. It’s likely that I’ll laugh, but it’s equally likely that I’ll laugh and cry, or something else. I’m not going to write an essay on Dean’s poetry (I previously wrote a ditty on his book Skid). He’ll never be voted poet laureate because he’s a bit too dangerous, a bit too wild and unpredictable. Poet laureates need to clearly edifying in some ways–they need to serve, after all–and I doubt that Dean Young is clearly edifying to most, although he is to me. I just wanted to pull out a couple of quotes from a recent interview with him in fail better, a mag I love, and one that’s a natural for him if only because his latest collection is titled Fall Higher. If you’re going to describe Dean’s poetry in two words, “fall higher” might be the best two words. When I read that quote, I think of Cassavetes’ films, except with a few wiffle balls of Dada tossed in. He says that “art may be made carefully but it’s never made by the careful.” That’s such good advice these days when so many artists have become more attuned to the selling of their art than to the recklessly inclined soul behind its creation. Dean’s interview appeared in fail better after he received a heart transplant earlier this year. It will be interesting to see how such an ordeal will affect his work. He’s faced death. He’s been given life. His words already traced indeterminacy, yet they were full of a gleeful plunging, a death-defying, exuberant vigor. Even if he writes of his scars, I’m sure there will be a smirk, a “yippeee,” an unexpected observation, someone dancing, a roller coaster, a worm, a lizard, a clown, a bordello, an astronaut, and more. After an odd, misguided lifetime of writing mainly in solitude, I’ve started to share my writing with others. Sometimes just for the hell of it, sometimes to have another simply witness my writing, sometimes with the idea of receiving useful, intelligent feedback—and sometimes for all of the above. The whole experience has given rise to thoughts about what it means to think of writing with actual flesh and blood readers in mind. I’m more and more convinced that great art and great creations in general (yes, I believe in greatness, at least unless it includes me) are in essence collaborations, even if unwittingly. Would there be a Patti Smith without a Robert Mapplethorpe? A Jack Kerouac without an Allen Ginsburg? A Sartre without a de Beauvoir? A Brad Pitt without an Angelina Jolie (kidding)? And vice versa in all cases. Life at its best is a constant riff, one idea arising from another in a wild, jazzy ping-pong match where you lose track of whose idea is whom’s. That’s art for me, even if you have to shuffle back to your hovel to record it all in mildewed solitude. Such chemistry is rare, almost divine I’ll venture, whether it’s in the form of a true artistic collaboration or simply the good fortune of finding a trusted reader. But just what makes for a good reader is worth pondering. Despite going to grad school for creative writing, I’ve had many more bad readers than good ones (hence the years of writing in solitude, I suppose). When John Updike was asked who his ideal reader was, he once spoke of a teenage boy in a library, walking the aisles and pulling books off the shelves, more or less randomly, looking for literary adventure. But I challenge Updike. His teenage boy is a nice notion, but I don’t want such an abstraction—it seems useless to be so removed from a real person who can receive one’s words. Likewise, Harold Bloom posits that great writers feel an “anxiety of influence,” that they’re writing in a spirited competition to outdo their literary heroes, dead or alive (yes, a very male competitive notion of creativity). Again, while I certainly write with influences and voices in my head, they’re more friends than competitors (could this be why I’m not a great writer?). If love is a desire to reveal and relinquish at the same time that it’s a desire to possess and understand, then a writer wants to find a reader in the same mold. A writer wants to hold another with his or her words, to have a sense that words flow into feelings, that a pause is struck upon another’s gaze of life, if not a transformation. You might say that the writer’s audience is always a fiction, a projection—as most of life is, certainly—but that’s not to say it doesn’t exist. Again, to pick up the metaphor of the writer as lover, a writer writes for effect, to give pleasure and meaning, to pique interest. It’s only with a loving or inviting recipient in mind that such effects can be achieved. So what do I want from a reader? I used to think that I wanted a biting critique, a certain regimen for self-improvement, but I don’t think that’s necessarily so valuable. In the end, I want someone who’s fundamentally interested, who I feel wants to read me in that pure energetic and curious way that one person wants to know another. If I feel that, then I can write to move another. I’ll scrutinize each word, make sure I’ve challenged each scene. I’ll know whether I’ve succeeded just by the enthusiasm of the response, not through any workshop critique (most of which end up as, “I want to know more about….” and more and more and more—sorry to all who’ve received such bad reading from me, which I’ll call “stuck in the workshop rut of response”). I’ll leave the teenage boys looking for books in libraries and the writerly workshop folks to others. The ideal reader is not someone who adores without question, but one who wants to love and be loved, which as anyone who has loved knows, can be a quite complicated scenario. I’d expect nothing less than complexity from any reader. I’d never want a lover who didn’t challenge, scrutinize, dare, and sometimes ignore. So reader as friend, lover, source of generosity, curiosity, yet intelligent and critical and biting if necessary, or something along those lines. But a real person. This is all a lead-in to a piece the Bay Area poet Jack Spicer wrote on audience—in the form of a letter to Lorca (an essay on audience with a dead poet in mind, you might say—but an audience nevertheless). When you had finished a poem what did it want you to do with it? Was it happy enough to merely exist or did it demand imperiously that you share it with somebody like the beauty of a beautiful person forces him to search the world for someone that can declare that beauty? And where did your poems find people? Some poems are easily laid. They will give themselves to anybody and anybody physically capable can receive them. They may be beautiful (we have both written some that were) but they are meretricious. From the moment of their conception they inform us in a dulcet voice that, thank you, they can take care of themselves. I swear that if one of them were hidden beneath my carpet, it would shout out and seduce somebody. The quiet poems are what I worry about—the ones that must be seduced. They could travel about with me for years and no one would notice them. And yet, properly wed, they are more beautiful than their whorish cousins. But I am speaking of the first night, when I leave my apartment almost breathless, searching for someone to show the poem to. Often now there is no one. My fellow poets (those I showed poetry to ten years ago) are as little interested in my poetry as I am in theirs. We both compare the poems shown (unfavorably, of course) with the poems we were writing ten years ago when we could learn from each other. We are polite but it is as if we were trading snapshots of our children—old acquaintances who disapprove of each other’s wives. Or were you more generous, Garcia Lorca? There are the young, of course. I have been reduced to them (or my poems have) lately. The advantage in them is that they haven’t yet decided what kind of poetry they are going to write tomorrow and are always looking for some device of yours to use. Yours, that’s the trouble. Yours and not the poem’s. They read the poem once to catch the marks of your style and then again, if they are at all pretty, to see if there is any reference to them in the poem. That’s all. I know. I used to do it myself. When you are in love there is no real problem. The person you love is always interested because he knows that the poems are always about him. If only because each poem will someday be said to belong to the Miss X or Mr. Y period of the poet’s life. I may not be a better poet when I am in love, but I am a far less frustrated one. My poems have an audience. Finally there are friends. There have only been two of them in my life who could read my poems and one of that two really prefers to put them in print so he can see them better. The other is far away. All this is to explain why I dedicate each of my poems to someone. What constitutes truth and then how to express it are two of the most interesting, elusive—and too frequently ignored—problems that confront us. We prefer to think that truth is self-evident. Life is easier that way. It goes beyond the structural blind spot we have in our eye where the optic nerves come together to carry messages to the brain where they’re assembled into “reality.” It’s more a matter of the fiction we live in, or the recognition that our lives are essentially fiction, that the cast of characters who fill our days—including ourselves (yes, in the plural)—are nothing more than a morphing vision, an interpretation, a shifting creation, bits of data assembled and reassembled. I’m thinking of this especially because of Richard Hell’s review of Jim Carroll’s posthumous novel The Petting Zoo in The New York Times. (It’s so lovely when a rock star is also intelligent and articulate, and that’s not my fiction). 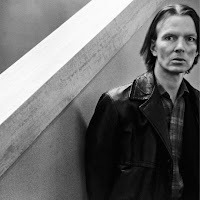 As a friend of mine said when she saw the album cover of Catholic Boy that showed Carroll, who looked like a gaunt, emaciated version of David Bowie, standing in a challenging pose with his very square parents, “That’s too f#*cking rock star.” His eyes held a threat to anyone who made even a gesture to a conventional life. 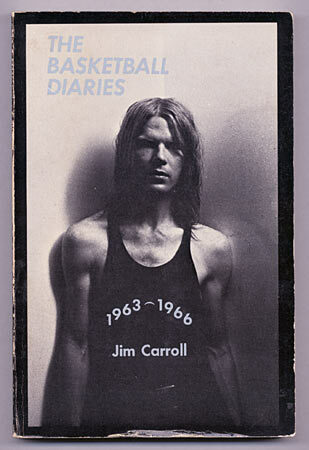 And then there’s Carroll’s Basketball Diaries, which has become a sort of companion piece to Kerouac’s On the Road for young aspiring writers (mainly men, it seems) who want to dash madly into the late night hours of the night to discover the nether worlds of all of the supposed glories of truths unseen. It’s a stunning intro, a con man’s taunt—and after reading David Shield’s Reality Hunger, a manifesto that essentially spends 150 pages riffing on fiction vs. memoir vs. appropriation—it’s a prescient take on our contemporary notion of “truth” in the way of a Rimbaud-like prodigy that Carroll was often characterized as. So then what is life, truth? How to describe it accurately? Scientists have their approach, but I trust the descriptions of artists more simply because I don’t believe in accuracy in such matters. Perhaps it’s better to be content with something that feels like purity. “Carroll wanted to be pure, and poetry is the definition of purity,” Hell writes. The New Yorker also just published an interesting review of The Petting Zoo, which seems to be just an atrocious novel. But the reviews of Carroll’s life are worth reading. Carroll, like most beautiful creatures, was punished in the end. His search for purity became an exercise in consequence, sequestered in poverty, confined to a small apartment, the blaze in his eyes smothered out by a failing liver. But at least he sensed the possibility of a more beautiful life and tried to imagine it, tried to put words to such a truth. His mind has grown sick from lust. The kisses have stayed on his mouth. All his flesh suffers from the persistent desire. The touch of that body is over him. He longs for union with him again. Naturally he tries not to betray himself. But sometimes he is almost indifferent. of his may bring him to a disastrous scandal. The overwhelming thing that you take away from the poetry of Constatine Cavafy, a part-time clerk and Greek poet of the early 20th century, is desire. It’s his sustenance, nurturing him in the dark alleyways of Alexandria, where he lived for most of his life. The impulse of his needs, skin on skin, human connection, is greater than all of the expected punishments of inevitable scandals. Dishwashers, tailor’s assistants, grocery boys briefly and passionately interrupt the loneliness of Cavafy’s nocturnal landscape. They’re the air he breathes. But in the mix of these drives of desire are historical poems that trace through the old histories of the Hellenic period. Cavafy viewed himself as a poet-historian, which meant that he viewed all human conduct, his own included, through the lens of recorded time. The juxtaposition of such intense personal narratives alongside the probings of Greek history create a unique commentary on life, brief sexual trysts in the shadows mixing with the grand, tragic sweeps of Greek history. Cavafy was a man who lived in the background—even preferred obscurity as a simple clerk—so it’s no surprise that he’s drawn to the stories of the insignificant and uses “insignificance” as a backdrop and counterpoint to “significance,” altering the traditional notion of history. and so I molded you more freely in my mind. I molded you handsome and full of sentiment. As his desires wend through battles and conquests and downfalls, Cavafy almost celebrates human foibles in his recognition and identification of them. His poems force questions about the very record of history and how it so frequently leaves out the nuances of human imperfections and desires as a way to understand life. Cavafy wrote unwaveringly about his homosexuality and embraced the possibility of scandal. It’s interesting how gay literature often puts our prim moral code in question these days—begging the question of why straight literature seems unable to do the same (there are no more Henry Millers, Charles Bukowskis, only middle-class domestic dramas). Straight people, white straight people in particular, have to live vicariously through others’ decadence—truly “othering” such impulses—pretending, it seems so often, to possess no decadence of their own. Shame on you Bill Clinton, shame on you Eliot Spitzer. It’s easy to bash our scandalous public figures, and although Clinton and Spitzer might not deserve any accolades for their transgressions, after reading Cavafy, I can imagine our contemporary history being written by a poet-historian in the far future, and perhaps the narrative will be of simple lost souls seeking a moment of tenderness, a connection between heart and life that’s forbidden—the part of the story left out of CNN’s coverage. Cavafy’s poetry has this effect of providing the subtext of history, of life, that all too often we don’t want to acknowledge or explore because it’s easier to damn (at least as a good American). To be sure, and unfortunately, the Colony has many shortcomings. However, is there anything human without imperfection? And, after all, look, we are going forward. In a culture that so often strives for perfection and chastises others for their “blemishes,” I wonder if we are going forward. Cavafy shows that a life lived within one’s imperfections instead of one’s perfections (if that’s the right way to put it) might be the more meaningful one. Perfections tend to have a sharp, bright glare after all. There’s a peace to find with a life in the shadows. Nuances. A realization that we’re unable to see everything clearly. Humility. Even progress perhaps. But how the life of the artist has gained. Will be composed that had their beginning here. For more, check out Daniel Mendelsohn’s new translation, C.P. Cavafy: Collected Poems. All reviews are a reckoning of expectations. In this case, my expectations were perhaps too high for The Strange Hours Travelers Keep by San Francisco poet August Kleinzhaler. One, there’s Kleinzhaler, who was awarded the 2008 National Book Critics Circle Award in poetry for Sleeping it Off in Rapid City—a must-read book for me after reading the reviews. Then there’s his tantalizing title for the collection, The Strange Hours Travelers Keep, that promises a skewed, evanescent, shady vision of our lives in motion and a probing of what travel means. And finally, and most importantly, there’s the gripping first poem that’s eponymous with the title of the collection. I might venture to say that this short stanza defines the movements and machinations of the world as accurately and evocatively as any 50 words could. Kleinzhaler combines the words of commerce, capitalism, technology, and nature in such a criss-cross of restless movement that it makes me feel life as a strange force—both mechanistic and natural—beyond our understanding (and this was before the economic crisis of the last year—he easily could have sprinkled in “mortgage derivatives,” etc. to signal another wild weave of the pattern). I wanted every poem in the collection to riff on these themes, to rise in a crescendo—or perhaps a swarm—of similar startling and telling images. Alas, I don’t think any of the rest of the poems in the collection are nearly as good, which isn’t to say that they aren’t good. “The Old Poet, Dying,” touches on a different kind of travel—the fadings in and out of one leaning toward the grave. Fragments. Memories. Bodily functions. Strange TV shows. Stories and nurses. Kleinzhaler is best when he’s focused as a witness, either to another’s story or as an observer of the world; his poems become less compelling the more personal they are. In “Citronella and Yellow Wasps,” he’s fortunately on the road again, much as he is in “The Strange Hours Travelers Keep,” and he patches together images of I-35, Austin into a fragmented blur of the crazy yet sometimes disturbing beauty of the American road, whether it’s methamphetamine, NASCAR, or Jesus. 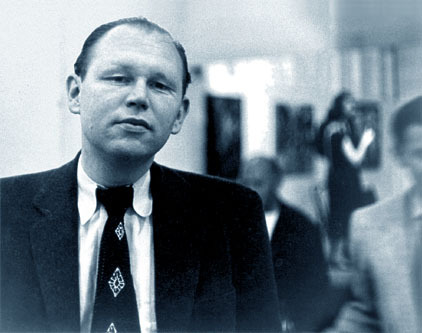 Kleinzhaler writes without judgment; his poems are at once critique and appreciation. America’s kooky, yet sometimes menacing road images become totems of a traveler’s appreciation in “An Englishman Abroad.” Our talk radio hosts go with “coral pink” sunsets in a way that no other country can match. I cannot yet recall what city this is I’m in. It must be close to dawn. We’re born with an urge to pillage, to travel. Creative destruction. Destructive creation. Perhaps I liked the book more than I thought I did.